Since I got bitten by the travel bug, I vowed to no longer throw a party for my birthday in favor of going out somewhere. In 2012 I went to Cebu, 2013 in Palawan, 2014 in Baguio and 2015 in a five star hotel. This year I am really confused where I want to be honestly. 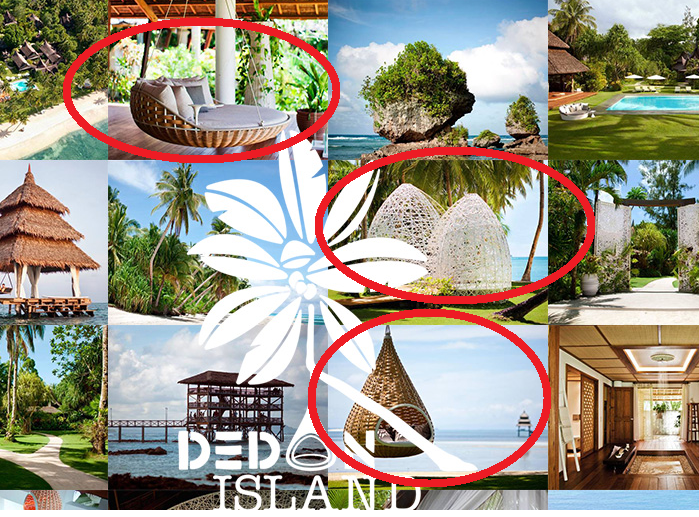 The initial plan is to visit Dedon Island Resort in Surigao del Norte. It is an ultra private five star beach resort that I'm dying to see. Not a lot of backpackers know about it and not many could afford staying there for a night because the rate starts from $400+. Even me I won't dare to spend that money even if I have that because that is too much but looking at how goddamn amazing is the place, I said I need to visit it especially the native furniture that they design called the Swingrest and Nestrest. I sent an email to them and asked if I can do a day tour in exchange of a blog write up and social media promotion. 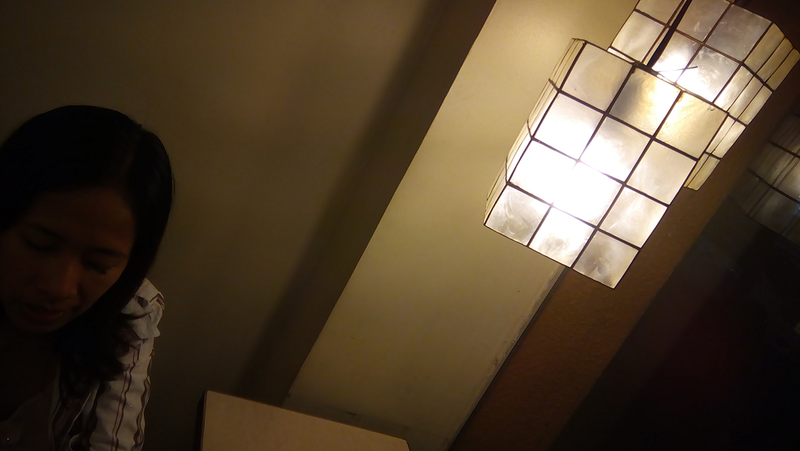 I never dared to ask to stay for a night as I know it is too much. I just want to see the luxurious villas and have my photos take to any of their gorgeous Swingrest, that's it. Thankfully the contact agreed to show me around. I'd like to go there on the day of my birth and just find a cheaper accommodation somewhere. Unfortunately they're doing some renovation on Feb 21st, the rest they're fully booked til Mar 15! Somehow I've already mentally prepared myself to go there so I didn't had the same thrill to find other places. I've decided to not go out that needs a flight this February. I will just go somewhere a few hours away from Manila. The Cintai Corito's Garden in Batangas or Little Bali of the Philippines seem so enticing as well. I'm planning to have a day tour there. The photo just looks so captivating! I am more into nature, wellness and all that. My boss is also inviting me to go to Boracay next month for 1-2 weeks to see the new spot where the first ever Mad Monkey Hostel out of Cambodia will be built. This is going to be the fifth location, the Mad Monkey Hostel Boracay. Excited! Also the thoughts of moving there and working there is probable. That is why I'm yet to book the flight to Dedon Island Resort as not sure of my schedule next month. Of course the biggest trip of all next month is my Hongkong trip. I've found a travel agency, DLC Backpackers that offer the tour package I want and currently looking for blog ambassadors to promote them. They're certainly not the one that offers the lowest price and I know this is still a business at the end of the day so the difference of the discount isn't that big but I'd like to still choose those brands who acknowledge the roles of bloggers in their business. I'm yet to confirm as it is too early, I will by end of this month. I've also discovered two Facebook groups for Filipino travelers and backpackers - Backpackers of the Philippines and DIY Travel Philippines. I am really surprised how the members are very active throwing each other's photos, contact information and itinerary to help the rest planning the same trip. I am also closely watching them and see if I can join any spur - of - the - moment trips with them. They are young, ordinary and with tight budget who will do a lot of hardwork just to backpack around the country. 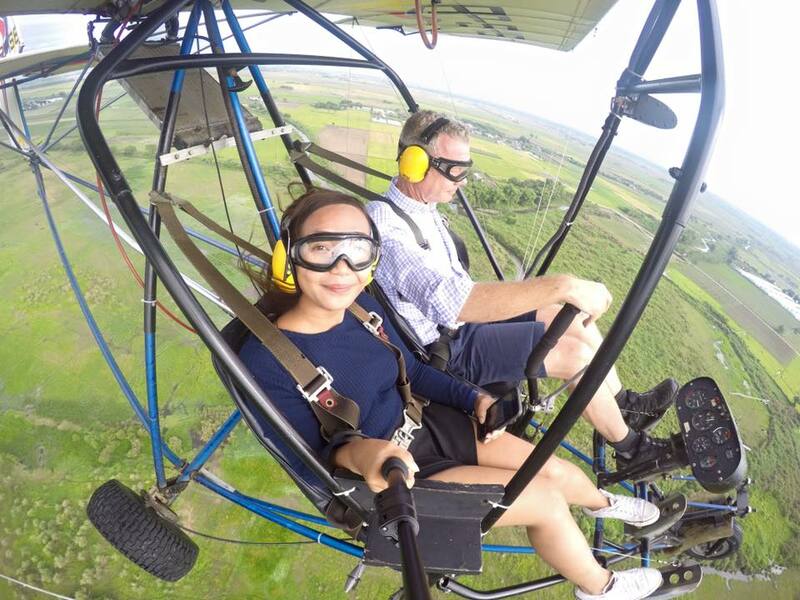 Two of the most recent posts that I am envying to try is going to Angeles Flying Club in Clark Angeles Pampanga. The cheapest and shortest ride is ten minutes for Php 1, 848. The most expensive and longest is one hour for Php 7, 392 including the swimming pool and nipa hut for free for one day. 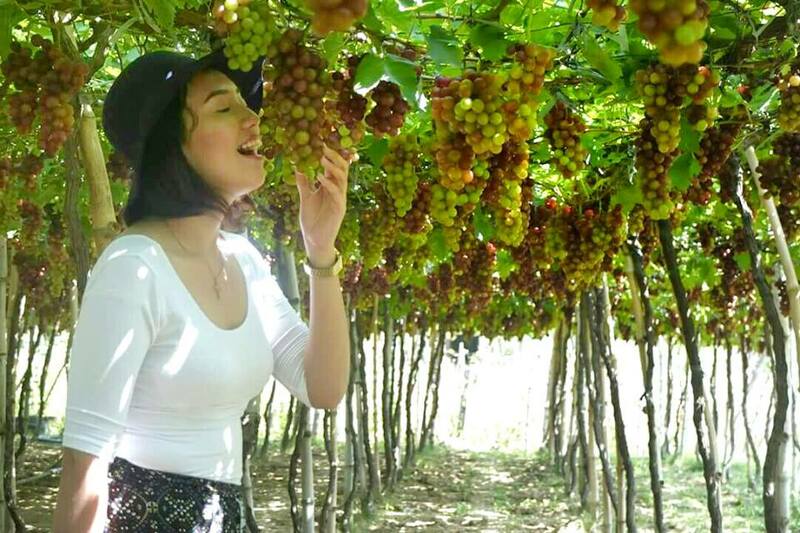 Grape picking in Gapuz Grapes Farm sounds so fun to me too when I saw this photo below. These are real grapes! For the past few months I am literally feeling burnt out. I think because I've spent so much longer time in front of my laptop than in any human I know. This year I want to change that. I just don't know how. Im longing for more human interactions, offline connections and gathering that expresses each other's feelings. I just don't want to pressure too much of myself about my upcoming birth day getaway. This I think would be the biggest thing I can do for myself. My wish for my birthday? That's going to be another post soon.